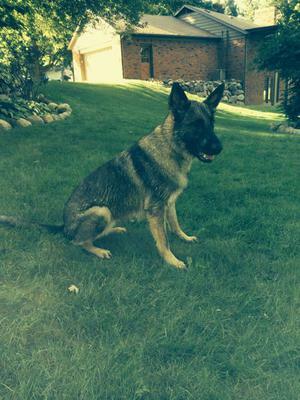 Sniper is a 2 year old female GSD. 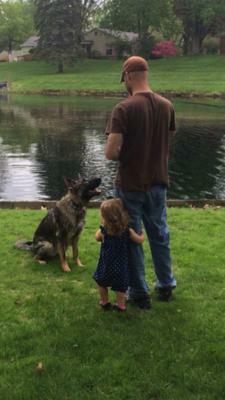 She was born in June 2013 at Mike Diehl German Shepherds kennel in Indianapolis, IN. This is my first dog and I always wanted to own a GSD. She has been an exceptional companion to own. She has been through Puppy, Basic and Intermediate obedience training at Gillette Kennels in Galesburg, MI. She LOVES to swim and fetch her frisbee toys in the water. She is very high energy and loves to run and play.